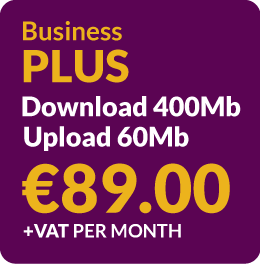 Cablecomm offer packages tailored to business needs, with the fastest download and upload speeds and lowest latency of any provider in Longford Town. 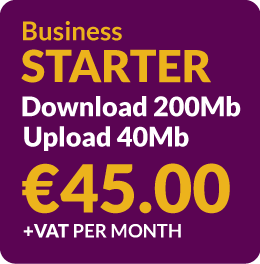 Faster download and upload speeds and lowest latency of any network in Longford. Fixed IP address if required. Free WiFi cable modem provided for the duration of your contract. Enhanced features such as revers DNS entry. The Cablecomm network has diverse fibre connectivity to the internet and all key equipment are configured in a dual configuration so as to have no single point of failure. Cablecomm are members INEX which is the Irish Internet neutral exchange of service providers in Ireland. This allows us directly connect with other key players in the market with a low latency connection. This allows our customers a better low latency connection for remote desk top and VoIP services. Cablecomm are members of RIPE, the governing body for internet addressing and Cablecomm have their own IP addressing which they can assign customers.